Kundra Corporation welcomes you. 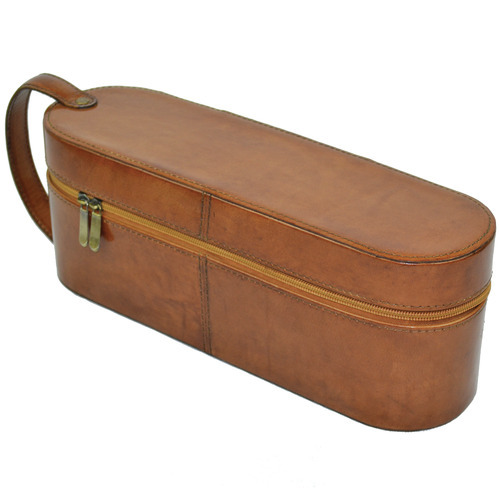 They design, manufacture and supply Leather products to suit your specific needs. All of their leather items are made using traditional techniques of hand stitching, hand painting and hand dyeing. 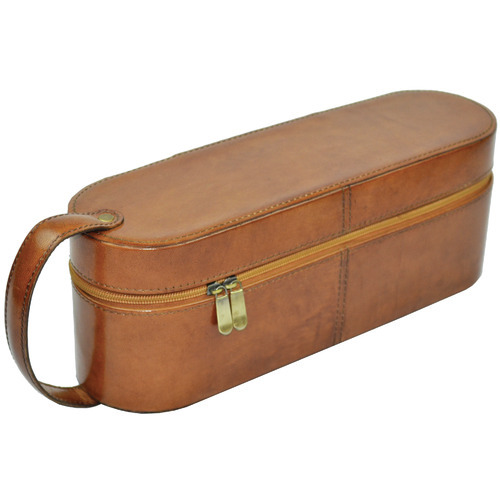 Their family business of 50 years creates not only beautiful but functional leather products which last a lifetime. Kundra Corporation is pleased to introduce themselves as one of the pioneer manufacturer and importer of premium quality genuine leather goods, home furnishing goods and leather accessories from India. 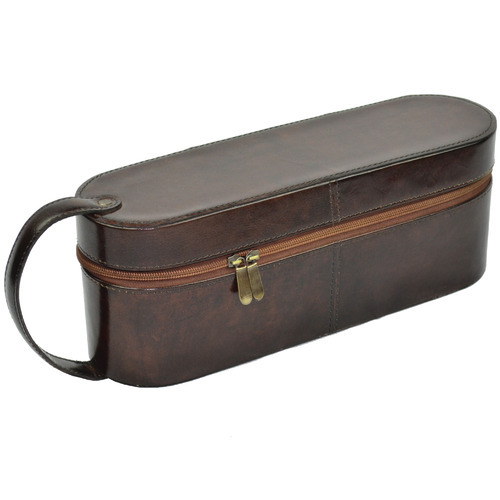 The Margaux Leather Single Wine Carrier is a Industrial or Global style product. Industrial style is practical and minimalist, industrial style is all about clean lines and no-frills. Industrial spaces often incorporate these three elements: metal, wood, and exposed or weathered features, such as bricks. Often uses reclaimed items. This style combines a modern look with a rustic appeal. You can shop for more Industrial or Global Barware & Accessories in the Kitchenware section of our site. 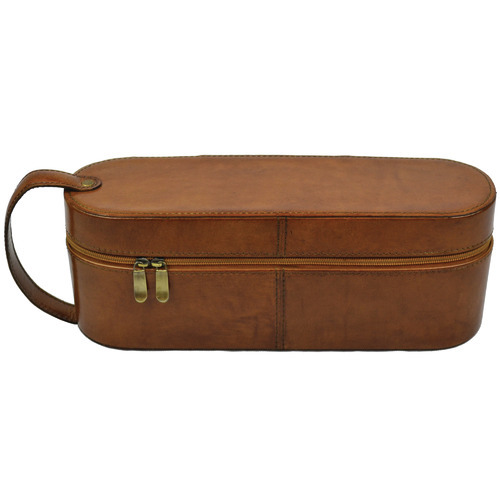 When you buy a Margaux Leather Single Wine Carrier online from Temple & Webster in Australia, we make it as easy as possible for you to find out when your product will be delivered to your home in Melbourne, Sydney or any major city. You can check on a delivery estimate for the Kundra Part #: WB 03 TAN / WB 03 DARK here. 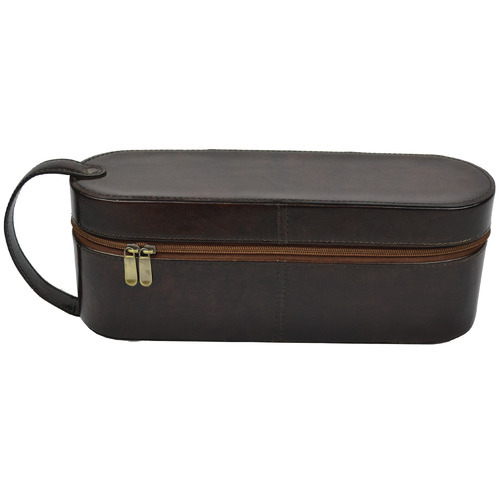 If you have any questions about your purchase or any other Barware & Accessories product for sale our customer service representatives are available to help.Whether you just want to buy a Margaux Leather Single Wine Carrier or shop for your entire home, Temple & Webster has a zillion things home.